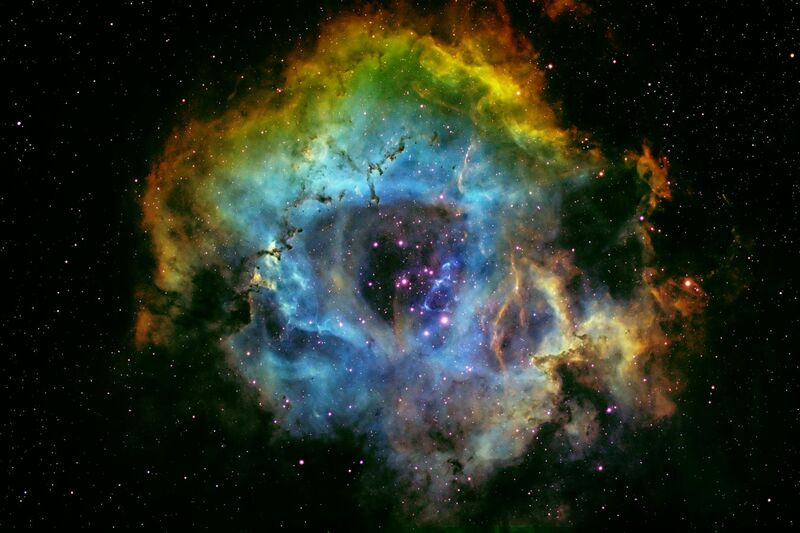 Take a Gorgeous Peak at Rosette Nebula Caldwell 49! Take a Gorgeous Peak at the Rosette Nebula! Ah, the Rosetta Nebula or what’s also known as Caldwell 49. 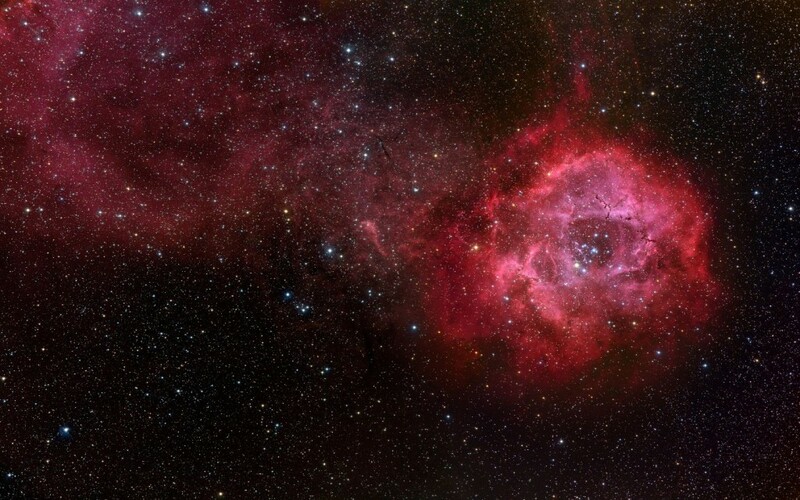 This is a true beauty of among the cosmos that’s often showed a lot during romantic holidays like valentines day. This nebula is 5,200 light years distant from Earth and measures in 130 light years in diameter! If you can imagine, the mass of this emission nebula is 10,000 that of our sun! The stars you see surrounding the gas are actually only a few million years old. 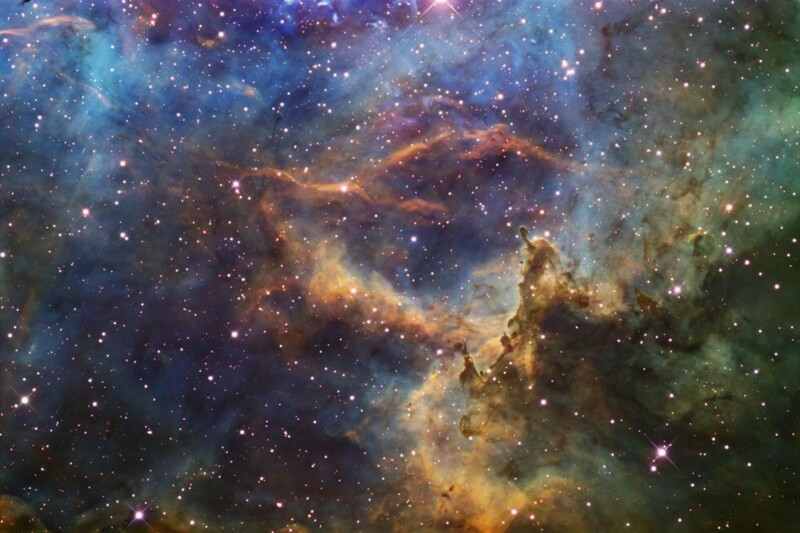 That last one is a close up of the Rosette nebula – just beautiful! 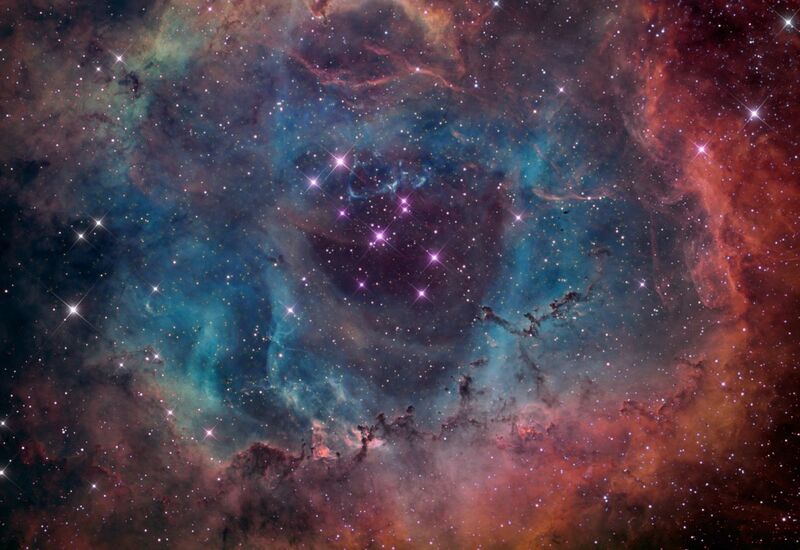 If you search for the Rosette nebula you’ll find even more than this. I hope you enjoyed this and if you want to see this through a telescope I suggest checking out the One Minute Astronomers blog post on it.